I was thumbing through my cookbooks and magazines when I came across this recipe. This was just perfect for me today since I happened to have the required ingredients in my refrigerator and I was alone at home this afternoon. I made this lovely fruit platter for a light lunch since both my hubby and son were out and I do not have to cook for them. I am fully aware that there is an advertisement advising us to steer clear of bananas because they are fattening. Well, to my way of thinking, the banana belongs to the fruit family, so it is okay by my own standards! Furthermore, since I am not actually watching my calories, I am free to eat bananas. On the contrary, bananas are rich in potassium and they contain pyridoxine (vitamin B6) which helps to fight stress. So whenever you feel the blues, make yourself a banana platter! 1. 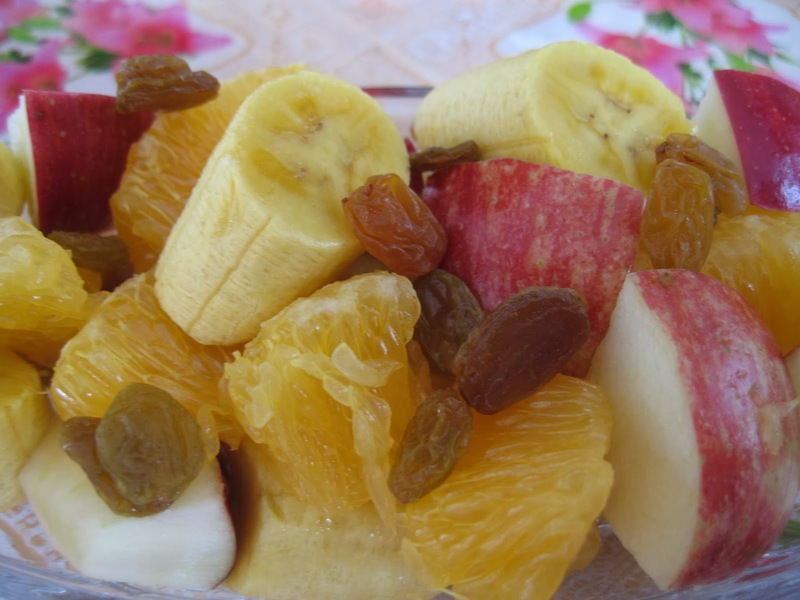 Place all the cut fruits and raisins into a dessert bowl or cups. Such a delightful fruity platter! I think bananas are really not fattening at all! Should you use it in a cake, then the cake is fattening! Haha! So like you, I would enjoy this fruity platter to the fullest! Thanks for linking with CYB! 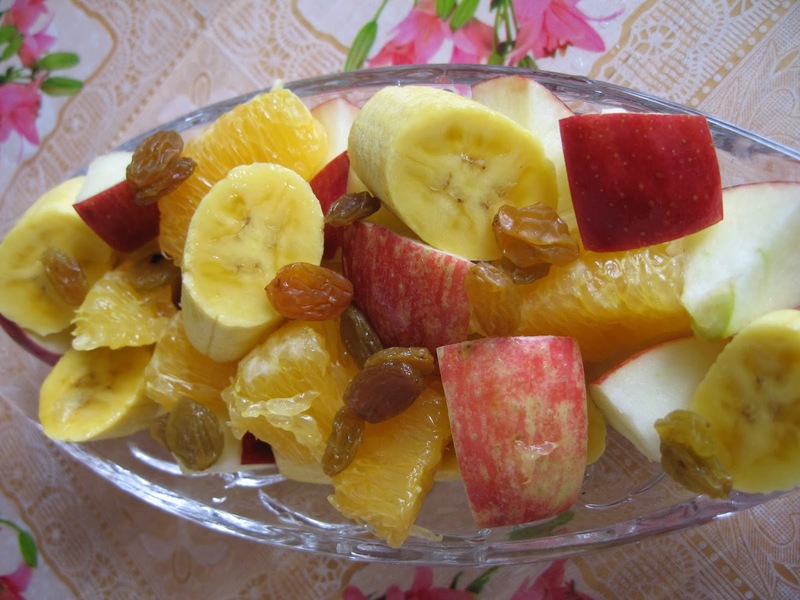 This fruit with banana salad looks nice and easy!